3 Bedroom End of Terrace House For Sale in Sheffield for Guide Price £165,000. 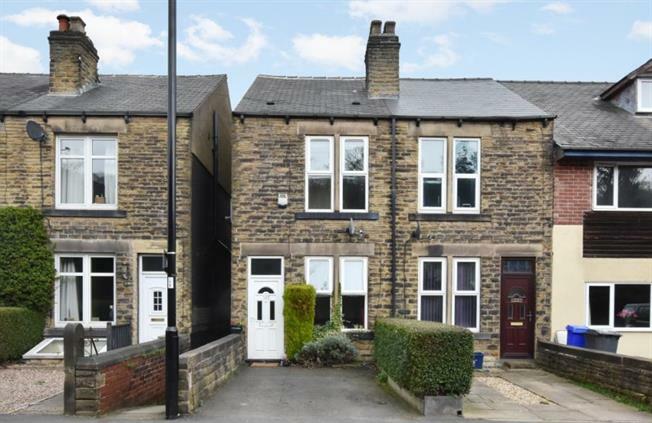 An excellent opportunity has arisen to acquire this beautifully presented three bedroomed, larger than average mid terraced property. Located in the heart of sought after Oughtibridge Village, offering spacious, flexible accommodation over three levels, an internal inspection is highly recommended to appreciate the size and standard of accommodation on offer. Ideally located for the full range of excellent amenities including local shops, well regarded local schooling, access to surrounding countryside, road network to city and motorways, further amenities in Hillsborough including supermarkets and shopping centre, bus station and Supertram park and ride with access to the city, principal hospitals and universities, leisure centre and library. On the lower ground floor is the utility room, with plumbing for washing machine, sink and storage units, with rear access to the garden and to the downstairs bathroom with WC ,wash basin and bath with shower over and screen .A useful cellar provides storage or further potential.